As most of you know I love seeing bands perform live. There is something about the energy of the crowd, the overwhelming atmosphere and feeling the beat of the music thump through your body that just completely sweeps me away. When music festival season hits it’s that feeling tenfold and today there are far more music festivals than when I was growing up!! Why not explore the festivals around the UK and find one near you with this summer festival map, created by Go Girl, an affordable learner driver car insurance provider. 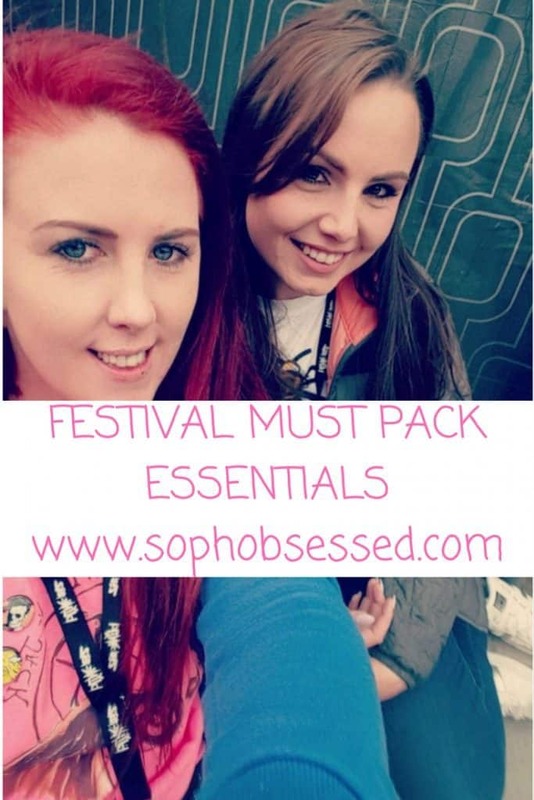 So, if you are heading off to a festival this year I’ve put together a list of essential items to pack to have the best time! Whether you are snap chatting, shooting a Facebook live or simply ringing home to confirm you arrived safe you will want charge on your phone and the best way to make sure you have enough juice for the whole of the festival is with a USB power bank. I recommend something above 10,000 mAh as this will be ample to survive the whole festival! I wrote about one I’ve been using from Varta which is smaller but still a fab buy! Check the weather before you go but since this is England it’s likely to shower at least once if you are lucky and completely monsoon down if you are not. If it’s the former then a thin raincoat that you can fold up is ideal. Umbrellas aren’t the best thing at festivals so if you want to stay dry this is your best bet! Festivals are mostly in fields which only require a small amount of water to make mud. With the large amount of foot traffic, it’s bound to get messy! Make sure you wear appropriate footwear and wellies are never a bad idea! I’ve covered the rain but if you are really lucky you might get some sun! There doesn’t tend to be a whole lot of shade at a festival and sometimes you can be exposed to the sun without realising. There is nothing that will kill your vibe more than some painful sunburn!! Baby wipes are like a miracle sent down from above. They can be used for a multitude of tasks and can be really handy when you aren’t near running water! 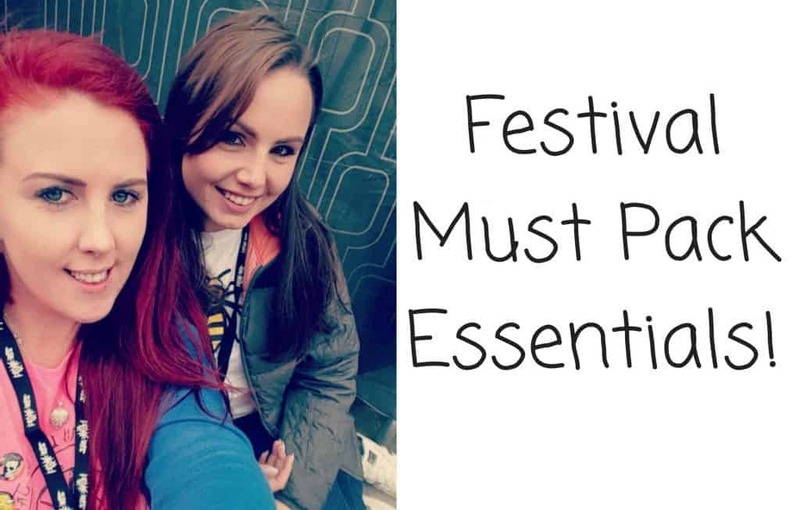 Wipe your hands, clean up spills, remove makeup the list is endless and the are a festival essential for sure! It’s a given that if you are attending a festival then it’s likely you won’t be showering and blow drying your hair! Dry shampoo is like a freshen up in a can and can make your hair look and smell fresh – at least enough to get through the festival! A life saver when looking for your tent in the dark! Or any over the counter medication that may be needed! Nothing worse than a headache or a nasty case of hay fever to ruin your festival fun! Absolutely don’t forget your glitter or flower crown or whatever other fashion is en vogue! Are you heading to a festival this year? What are your must pack essentials? Previous Post Find Me a Gift Back to School Must Haves!